Vogiatzakis (4th from left) with the student designers of the book OMG Can Cook. These projects bring immense benefit to both parties, as while participating students are empowered with vital knowledge and knowhow from leading organisations, they in turn contribute new ideas, inspiration and produce creative outcomes that bring value to employers. “We are so impressed by the work of INTI’s art and design students that we have named them The INTIcredibles and have committed our agencies to continue our partnership with INTI in the years to come,” said Andreas Vogiatzakis, CEO of Omnicom MediaGroup (OMG) Malaysia. Students of INTI Centre of Art & Design have had the privilege of working with OMG for two consecutive years, contributing talent and creativity in projects such as Tomorrow Now, a research book that identifies the changes that are shaping Malaysia’s marketing landscape and consumer behavior trends; OMG Can Cook, a recipe book; and Future Forward, a publication of thought-provoking articles. “Not only did we receive top students to work on several real life projects, we have now identified a pool of talent we want to hire as soon as they graduate,” added Vogiatzakis. 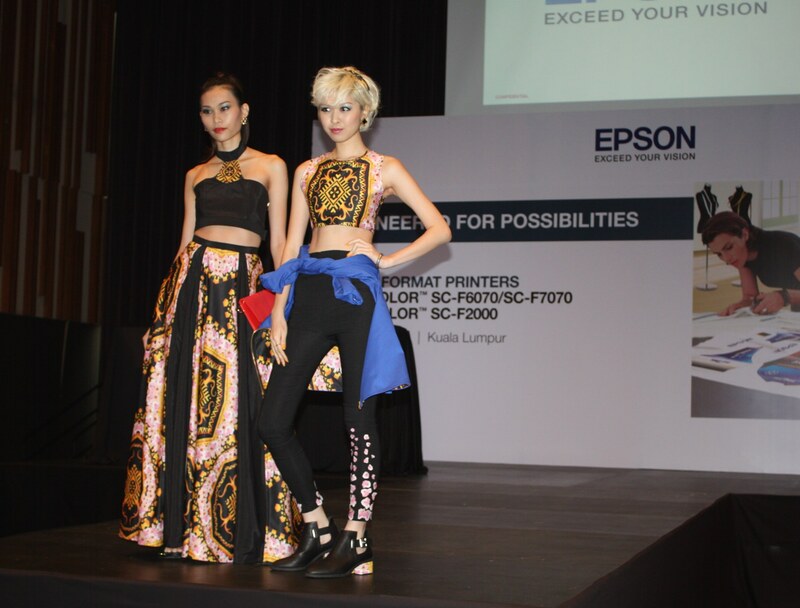 Models displaying evening wear designed by INTI’s students at the launch of Epson’s F-Series printers. Through another employer project, INTI’s art and design students were invited to corroborate the efficiency of Epson’s new line of fabric and direct-to-garment printers. The project required them to design motifs or patterns that would be applied to an aesthetic collection of formal evening and casual wear. “At the beginning of the project, Epson’s representatives briefed our students, and when they returned to appraise the students’ work, they were very pleased with the outcome. Our students were invited to present their collection of garments in a runway show at the launch of Epson’s F-Series printers. Five T-shirt designs by our graphic design students printed with Epson printers were also exhibited at the event,” said Anis Laila Yap, Dean, INTI Centre of Art & Design. INTI students are engaged in employer projects as part of their coursework for two to ten weeks. Working in teams on real projects led by employers, they develop vital skills in problem solving, communication, critical thinking and teamwork. A compulsory internship programme for diploma and degree level for art and design students provides additional opportunities for workplace learning and career networking. Guided by a dedicated team of highly qualified and experienced design instructors, INTI’s students are groomed to be part of a new generation of trend setters and designers in the art and design industry. Their international exposure, innovative learning and individual development are enhanced through participation in competitions, industry projects, international study trips and practical training with established local and foreign organisations. For further information on programmes offered by INTI Centre of Art & Design, call 03-5623 2800.